For years, doctors couldn't figure out why a 16 year old's eyebrows were disappearing. After a microblading appointment with Luxe Lashes in Richmond, Va. the search was over! #Browtransformations have the power to transform so much more than a woman’s face. Today, I wanted to share a recent #browtransformation story that captures exactly why I love owning a beauty studio. At Luxe Lashes, we do not manufacture your beauty, we discover it. Luxe Lashes Beauty Studios have been microblading for two years now. As we celebrated our anniversary, I remembered one of our first microblading clients. She actually brought tears to my eyes as this was a true beauty transformation, from the inside out. After years of trying to diagnose her disappearing eyebrows, this client and her family were ready to find a remedy, themselves. Doctors had no idea why this girl, with a head full of beautiful hair, was losing her eyebrows and even had her undergo a psyche evaluation to see if she was pulling them out, herself! 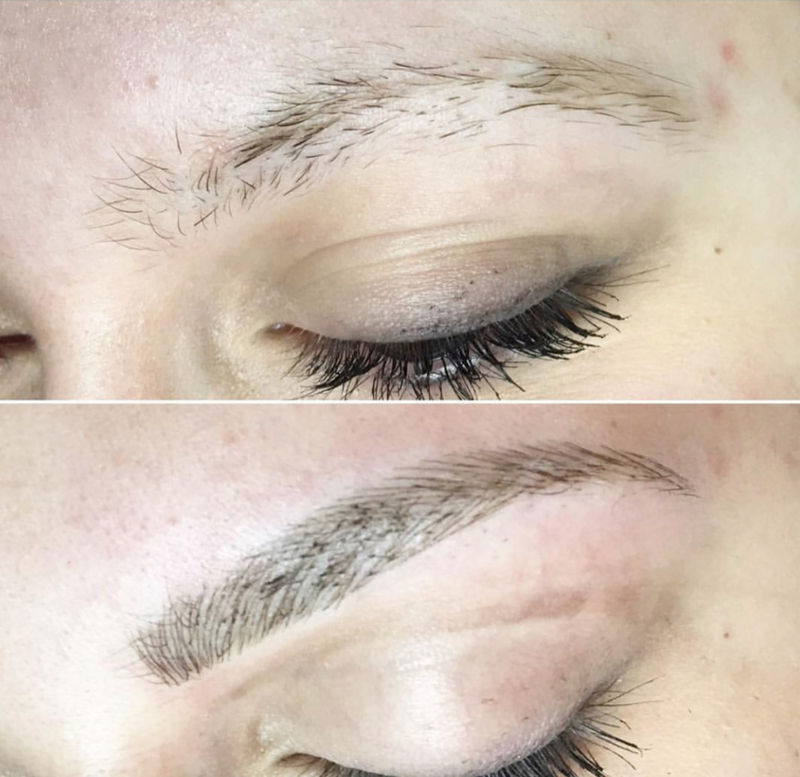 So, her parents gifted her with a microblading appointment. Here I was, a beginner microblading artist, and they trusted me with their impressionable 16 year old! Could you imagine being in high school and having to deal with that? Brows are SO prominent on our faces and it’s easy to take having them for granted. All she wanted was a pair of eyebrows. And THAT, I could do. Microblading adds 3D hairlike strokes that leave a natural looking, full brow. When she saw the finished look, her confidence was unleashed. Beauty from the inside was shining on the outside. And yes, I totally cried. Every day, I get to offer luxury beauty and wellness products and services that help women look good and feel even better, to help them look good and live luxe! Click here to book your microblading appointment today!